The Missouri Community College Athletic Conference (MCCAC) awarded its first conference championships in men’s basketball and men’s baseball in 1968 and was named the Midwest Junior College Athletic Conference (MJCAC). Since then the conference has gone through two name changes. The name was changed to the Midwest Community College Athletic Conference in the 1980’s to reflect the growing trend in changing names of junior colleges to community colleges. In 2014, the name was altered to reflect the conference schools all being from Missouri. Charter members included: St. Louis Community College-Florissant Valley, St. Louis Community College- Forest Park, St. Louis Community College- Meramec, Three Rivers Community College, and Mineral Area College. In 1973, East Central College and Jefferson College joined the MCCAC followed by Belleville Area College (now Southwestern Illinois College), Lewis and Clark Community College and St. Charles Community College. Shawnee Community College joined the conference in the 2010-11 academic year. Drastic budget cuts in 2011 faced by all colleges led to the consolidation of the St.Louis Community College athletic departments into one athletic program. During this same academic year, Shawnee Community College and Lewis & Clark Community College dropped out of the MCCAC due to scheduling commitments to NJCAA Region 24. In 2012-13 State Fair Community College became the newest member of the MCCAC. The addition of State Fair helped keep the conference viable and allowed men’s basketball to remain as a conference sponsored sport. Missouri State University West Plains joined in 2015-16 and Moberly Area Community College became the ninth member of the conference in 2016-17. Current sports sponsored by the MCCAC include men’s and women’s basketball, men’s soccer, softball, baseball, and women’s volleyball. Some of the institutions have sponsored other sports in the past, but have discontinued programs due to budgetary constraints. Each academic year, the MCCAC Conference awards the Harold Oetting All-Sports Award to the conference athletic department with the highest overall grade point average. The award is named after the long time basketball coach, baseball coach and athletic director at Jefferson College. Each conference sponsored sport: men’s and women’s basketball, men’s and women’s soccer, women’s volleyball, softball, and baseball awards a conference championship to the team with the best conference record each season. Each sport has its own sport code to determine the conference championship rules and tiebreakers. The coaches select a predetermined number of All-Conference student athletes in each sport as well. The NJCAA awards the Lea Plarski Award, named after former STLCC-Florissant Valley coach and athletic director, to a junior college student-athlete who exemplifies sportsmanship, leadership, community service, academic excellence and athletic ability. 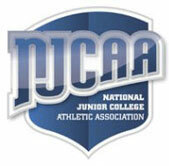 Presented at the end of each academic year, this is the most prestigious honor presented to an NJCAA student athlete. The National Alliance of Two Year College Athletic Administrators (NATYCAA) presents the award to the athletic administrator who has made a lasting contribution to the advancement of two year colleges (NJCAA, NWACC, California State Association) over the course of his/her career.